Various different events are organised as part of OBJEKTI 4 exhibition in Espoon keskus during summer 2018. The programme includes art workshops, discussions and performances. All events are free. Elina Hartzell leads a five-day art project for children at Lakela Day Care Centre. They make a fieldtrip to visit OBJEKTI 4 exhibition and participate in an art workshop during the week 35/2018. Elina Hartzell is an art educator, performance and visual artist. She wants to give children an opportunity to join OBJEKTI 4 exhibition as active and visible actors. Yhden biisin olohuonekeikka (One Song Living Room Gig) tours in Espoon keskus from noon onwards. It is a group of four musicians (Mirva Mietala, Riina Nieminen, Lauri Lehtinen, Hape Peltomaa) and a guitar, playing spontaneous mini concerts in living rooms. Kaaos Kollektiivi performs an improvisational dance piece Moment at Espoontori. The dancers are: Georgie Goater, Tom Leidenius, Gunilla Sjövall and Noora Västinen. Kaaos Kollektiivi is a meeting ground for dance improvisation, researching what emerges from moment to moment, juggling impulses, find paths to known and unknown, sometimes winning and failing it all falls into place. Kaaos Kollektiivi meets once a month to practice improvisation. 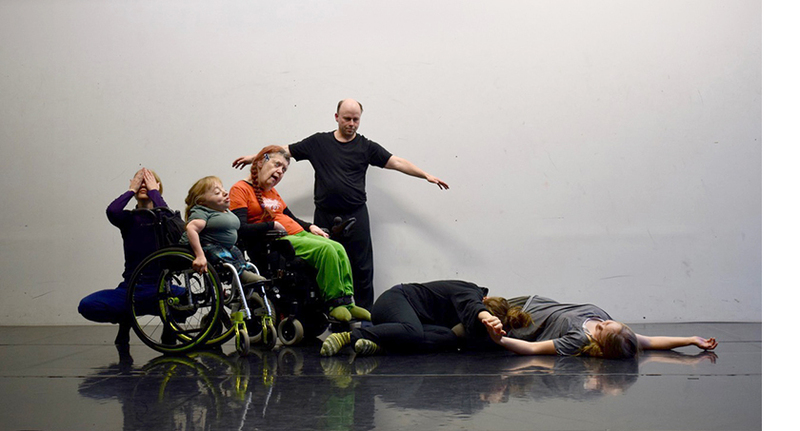 The aim is to provide professional development possibilities for dancers and choreographers (with and without disabilities) in the field of inclusive dance. The group is an initiative of Kaaos Company. Helsinki Morrisers have been performing since 1995. Morris dance is a form of English folk dance based on rhythmic stepping and the execution of choreographed figures by a group of dancers, wearing bell pads on their shins. 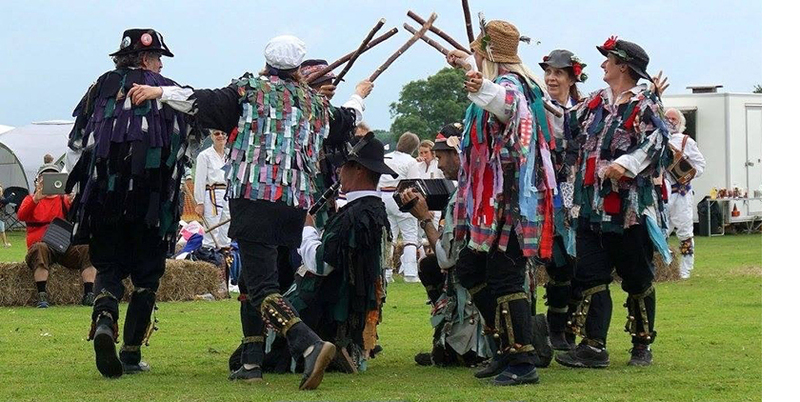 Implements such as sticks, swords and handkerchiefs are wielded by the dancers. 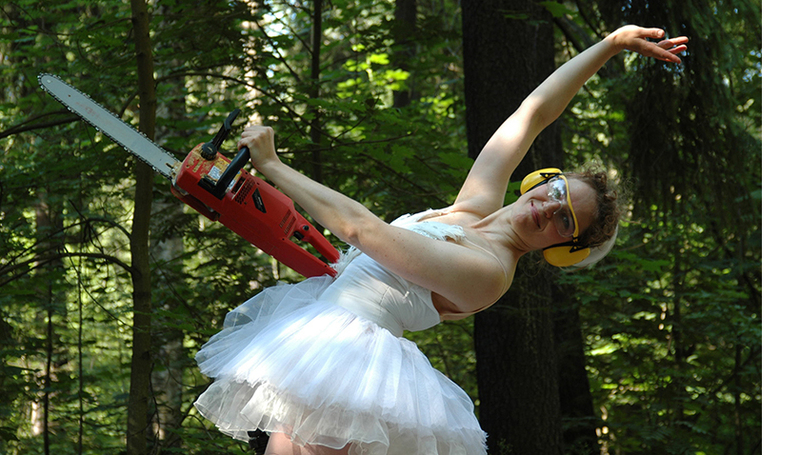 Strength meets sensitivity in Sanna Karlsson-Sutisna‘s performance Chainsaw Ballerina. Sanna Karlsson-Sutisna is a dance and visual artist who combines images, sculpture and dance to suffuse her performances with ritual form and multicultural elements. Sanna Karlsson-Sutisna is also known for her ecological tree trunk sculptures. For OBJEKTI 4 exhibition, she has created a new sculpture Peace at Last. 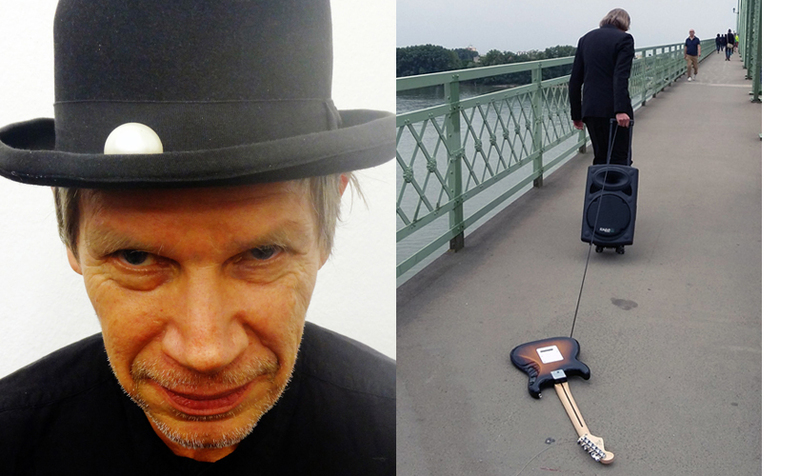 Roi Vaara‘s performance Grounding is a composition for electric guitar. The performance will start at 3pm from Kansliapolku, Valtuustotalo, upper pedestrian level. Roi Vaara (b. 1953, Norway) is an internationally acclaimed pioneer in performance art in Finland. In his work, he combines different ways of artistic expression into site and situation specific live performances. His critical point of view is not to attract public sensation but to challenge the way we are looking at things. 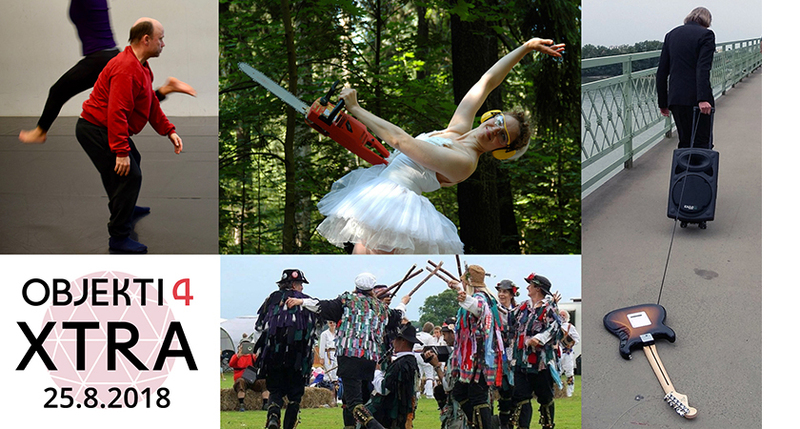 Roi Vaara has done performances since 1979 and performed over 500 times in almost 50 countries worldwide. Since 1988 he has been active in an influential performance artists collective Black Market International (BMI) whose mode of operation is free and open exchange of ideas. Vaara received a state award from the Arts Council of Finland in 2000 and the Ars Fennica prize in 2005. He was awarded with Pro Finlandia honorary medal in 2010. Parsa Kamehkhosh (b. 1985) is an Iranian artist based in Helsinki. His piece is a series of object-oriented performances, through which the artist is lying inside a metal cube and sculpting it from inside. His actions and movements inside the cube will affect the exterior of the metal piece and change it gradually. The piece is located next to the pond of Kirkkojärvi in Espoon keskus. Mechanics of Conformity (MOC) Part II is a collaboration between Catalysti artists and OBJEKTI. Within this collaboration, four women explore concepts of identity, relationships, perceptions, liberation and otherness through hair. Catalysti artists who have shaped MOC collective are Rosamaría Bolom, Edwina Goldstone, Sepideh Rahaa and Arlene Tucker. 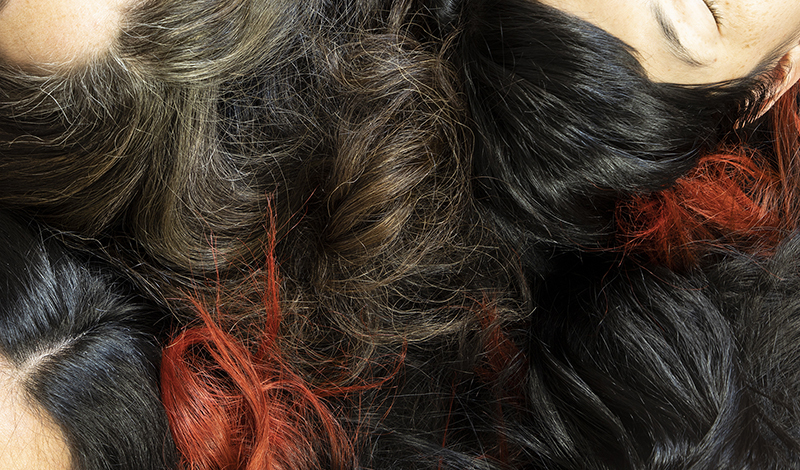 MOC collective has been created around the subject of hair and from early 2017. How do others look at each other? Welcome to join us for an evening walk, to see OBJEKTI 4 exhibition, and to discuss about contemporary art! It will be a great way to see all the projects of the fourth OBJEKTI exhibition! The exhibition includes twelve projects representing different forms of contemporary art – sculpture, installation, sound art, community and participatory projects. 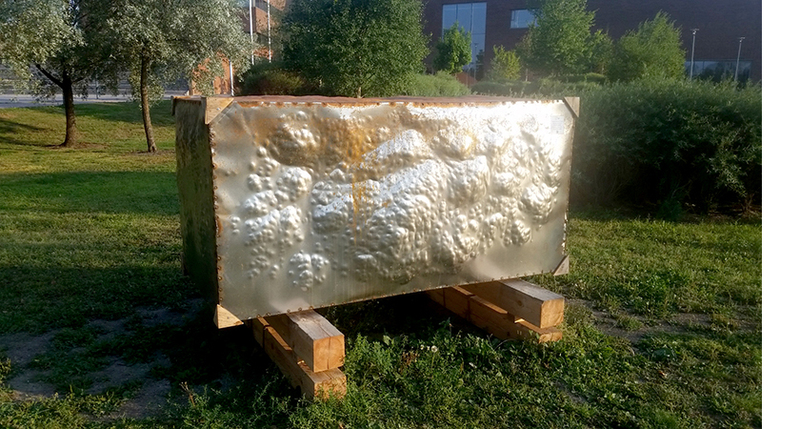 Many works have been especially created for OBJEKTI and are site-specific to their locations in Espoon keskus. This year there is a strong focus on ecological and social themes. OBJEKTI 4 is curated and organised by Espoo Kunsthalle. The artists taking part in OBJEKTI 4 are: Heini Aho, Art & Process (Ari Björn and Heini Matveinen), Bartaku, Ramina Habibollah, Parsa Kamehkhosh, Sanna Karlsson-Sutisna, Petri Kuljuntausta, Maria Mastola, Mechanics of Conformity (Rosamaría Bolom, Edwina Goldstone, Sepideh Rahaa, Arlene Tucker), Tuula Närhinen, Tiina Raitanen, Satu-Minna Suorajärvi. On the 9th of August, the Walk & Talk is led by Merja Puustinen who works as artist, curator, researcher, lecturer and producer. She is completing her PhD research on interactive media art at the Academy of Fine Arts, Helsinki. On the 16th of August, the evening Walk & Talk is led by PhD Sanna Lehtinen. She is doing postdoctoral research on aesthetics at the University of Helsinki and teaching environmental aesthetics and thinking at Aalto University. It’s free of charge, no registration in advance. We will start from the main entrance of Espoo Cathedral (Espoon tuomiokirkko, Kirkkopuisto 5, Espoo) at 7pm. Welcome! Add your own sculpture to the exhibition! 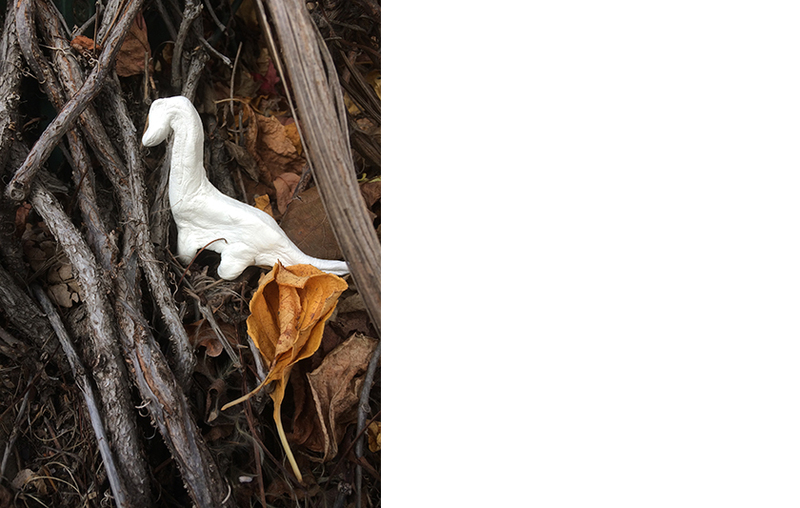 During the Sculpture Park workshop we will get to know the works in the OBJEKTI exhibition in the Espoon keskus area, and make our own small sculptures that will be placed together outside. Everyone’s works will be added to the sculpture park, and we will have a party opening together at the end! The aim of the workshop is having fun together in a playful way! Everyone participating should come on all three days! Teaching is in Finnish and English. The workshop is free of charge. Please bring your own lunch! We have hair. Hair is natural. Hair is everywhere. 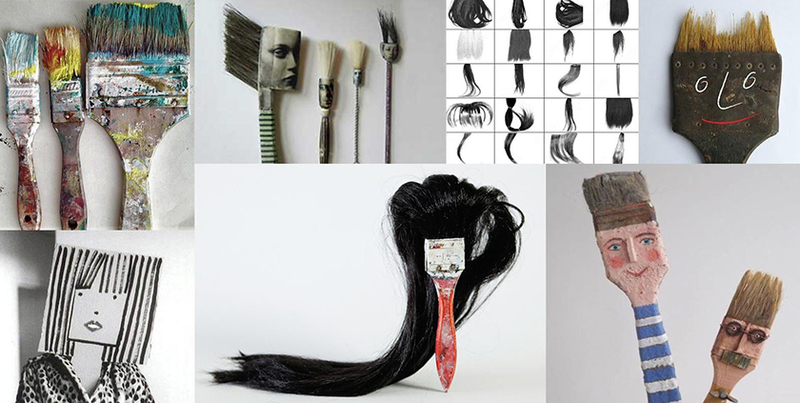 In this three day workshop we will explore different ways to make art using hair. These various art forms will help the artist make a final piece. For example, two-dimensional arts, aspects of stop motion animation, sculpture, and paper arts. This workshop is for young artists who enjoy exploring different artistic mediums and ways of self-expression.